I am a lapsed former Mercy main. Partly because the growing obsession with the game's meta among friends was poison to my casual Overwatch habits. And partly because Mercy only had one gun. 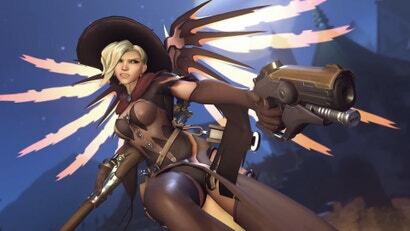 Overwatch's angelic healer Mercy got a massive makeover this month. The changes have turned her into the most popular hero across all levels of competitive play, according to data from hundreds of thousands of Overwatch player profiles collected by the fan-run site Omnic Meta.